We all know that it is illegal for anyone under 21 to possess or consume alcoholic beverages. All too often, however, negligent taverns, bars and restaurants will still serve alcohol to minors, including obviously intoxicated minors, when presented with the minor’s fake ID or when the tavern, bar or restaurant fails to act reasonably in determining whether or not the patron is an obviously intoxicated minor. Under either scenario in California, the bar is at fault and is liable when the obviously intoxicated minor hurts himself or others as a result of being served alcohol at the establishment. When Is a Dram Shop Liable for Damages? Imagine John visits a local bar for drinks after work. Even after drinking to excess and displaying obvious signs of intoxication, the bartender continues serving John more drinks. John leaves very inebriated and starts driving home. He runs a red light and hits Jake’s car, causing a broken arm, a concussion, and significant property damage. In this situation, Jake would certainly have grounds for a legal claim against John for the DUI-related crash, but the bar that served John alcohol after he was visibly intoxicated will likely also share some liability for Jake’s damages. Dram shop liability may apply to a restaurant, bar, tavern, or any other establishment that serves alcohol. It may also apply to a liquor store or other store that sells alcohol. The plaintiff in a lawsuit for dram shop liability would need to prove that the dram shop in question should have known better than to serve alcohol to the person who caused the plaintiff’s injuries. This may require proof of sale to the offender or other evidence to establish proximate cause. If the dram shop’s negligent sale or service of alcohol led to the plaintiff’s damages, the dram shop is liable for those damages to some degree. Private homeowners who host social gatherings also have a responsibility to prevent alcohol-related injuries and damages by being responsible with their alcohol. For example, Jimmy is a 17-year-old visiting Julie’s house for a social gathering with his family. Julie allows Jimmy to drink a few beers since he is a friend of the family, but she does not realize that Jimmy drove his own car to the party. Jimmy leaves intoxicated and causes an accident. In this situation, Julie would bear some liability for the resulting damages, because she knowingly served alcohol to a minor even though she did not know he would be driving. California law significantly limits third-party liability for dram shop violations. The logic behind this restriction is that the service of alcohol is not the proximate cause of subsequent alcohol-related injuries, but rather the consumption of alcohol that causes these injuries. For a plaintiff to succeed with a dram shop liability claim against a bar that serves alcohol, the plaintiff would need to prove that the bar was grossly negligent in the service of alcohol to the defendant. Social hosts do not enjoy this same kind of exemption. What are the Current California Business Laws Regarding This? Pursuant to California Business and Professions Code § 25602.1, “a cause of action may be brought by or on behalf of any person who has suffered injury or death against any person licensed, or required to be licensed, pursuant to Section 23300, . . . who sells, furnishes, gives or causes to be sold, furnished or given away any alcoholic beverage . . . to any obviously intoxicated minor where the furnishing, sale or giving of that beverage to the minor is the proximate cause of the personal injury or death sustained by that person.” Cal. Bus. Prof. Code § 25602.1. A seller violates section 25602.1, and is liable, when it serves a minor affected by the commonly known outward manifestations of liquor intoxication, whether by failing to observe what was plain and easily seen or discovered or, having observed, by ignoring what was apparent. Schaffield v. Abboud (1993) 15 Cal.App.4th 1133. The result of such careless and reckless behavior by a tavern, bar or restaurant can and, often times, will lead to catastrophic injuries not only to the minor who was served alcohol, despite his obvious intoxication, but also to others who may come into contact with the obviously intoxicated minor. The most common scenario we see is when the drunk minor leaves the bar after being served alcohol there, gets into his car and drives away and crashes into and severely injures an innocent motorist. 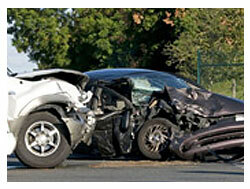 The negligent tavern, bar or restaurant needs to be held accountable for causing these DUI, injury-producing accidents. Why Do I Need a Lawyer for a Case Like This? The attorneys at Panish, Shea & Boyle, LLP, have extensive experience handling civil claims in Los Angeles for a variety of different case types, including dram shop litigation. Our attorneys have received national recognition for their record-setting verdicts and reputation for personalized and professional legal representation. The attorneys at Panish, Shea & Boyle, LLP, have won more than $10 billion in compensation for past clients, and we can put our resources and experience to work in your Los Angeles dram shop liability claim. An injured person may believe that hiring an attorney is an unnecessary expense after a seemingly straightforward accident, but the reality is that an experienced lawyer has a much better chance of succeeding with a lawsuit than a plaintiff has on his or her own. The legal team at Panish, Shea & Boyle, LLP, understands the Los Angeles court system and how to maximize our clients’ recoveries. The Los Angeles personal injury attorneys at Panish Shea & Boyle have routinely obtained justice for those wronged by a negligent tavern, bar or restaurant that has served alcohol to a minor, despite the minor being obviously intoxicated, who then seriously hurts himself or others. Panish Shea & Boyle has a strong record of recovering significant verdicts and settlements for its clients, including the largest verdict in American legal history. We have won more than 150 verdicts or settlements of $1 million or more. All of our attorneys are active members of professional legal organizations such as the Consumer Attorneys of California, and partners have been repeatedly honored with titles such as Most Influential Attorneys and Best Lawyers in America. Contact us today for a free consultation about your case!